This guide is long overdue! I spent three days in Stockholm, Sweden last summer on a solo trip and without a doubt, it was one of the most spectacular cities I’ve ever been to. As expected, it was stunning, English-speaker friendly, and safe. One thing I didn’t expect is that it was much more Americanized than I thought, with Dunkin’ Donuts, 7-Elevens, and McDonalds on nearly every city block in the area I stayed. Not a total turn-off, just kind of funny. It’s an expensive city, but not much more than what I’m used to in San Francisco. My stay in Stockholm revolved mainly around shopping, eating, and a bit of history. Stockholm is one of the best shopping destinations in the world as it’s the home of so many amazing brands. The SEK to USD currency conversion combined with the VAT discounts Americans can reap while shopping abroad, make it a smart move to purchase pricier things like Acne Studios boots and Byredo perfume in Stockholm rather than at home in the states. You can see what I bought in my recent Europe haul, and a sneak peek of the amazing shopping and all that I did in my vlog. Before I get into my local recommendations, I wanted to share some tips on staying organized while abroad. 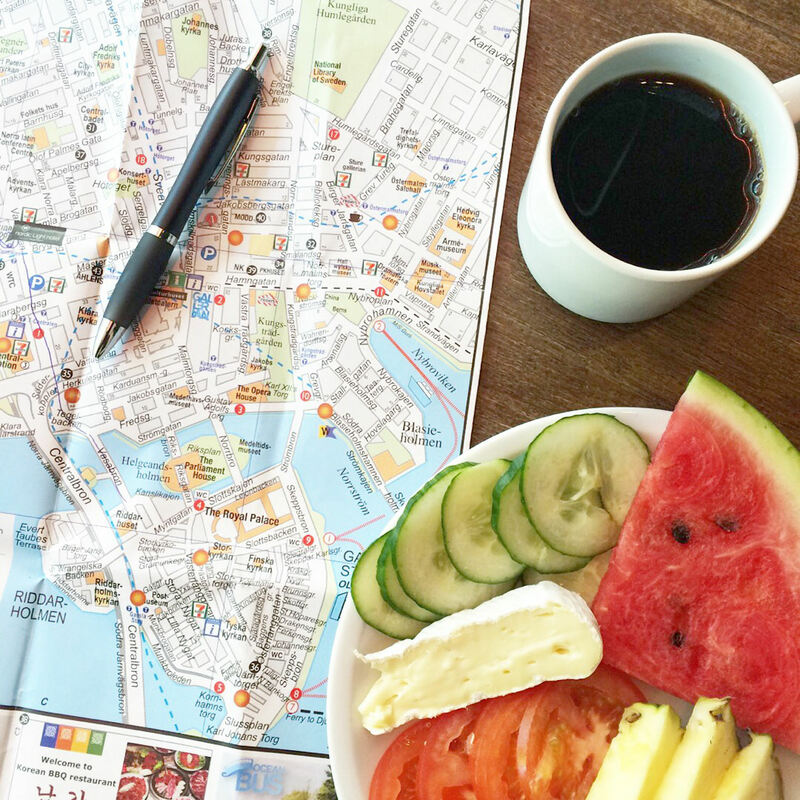 My favorite tool to organize all my travel bookmarks is of course Yelp, where I can easily find all my spots on a map which I can pull up locally. If I don’t have data or a SIM card for that particular destination, I take screenshots of the map given my plan on that day. 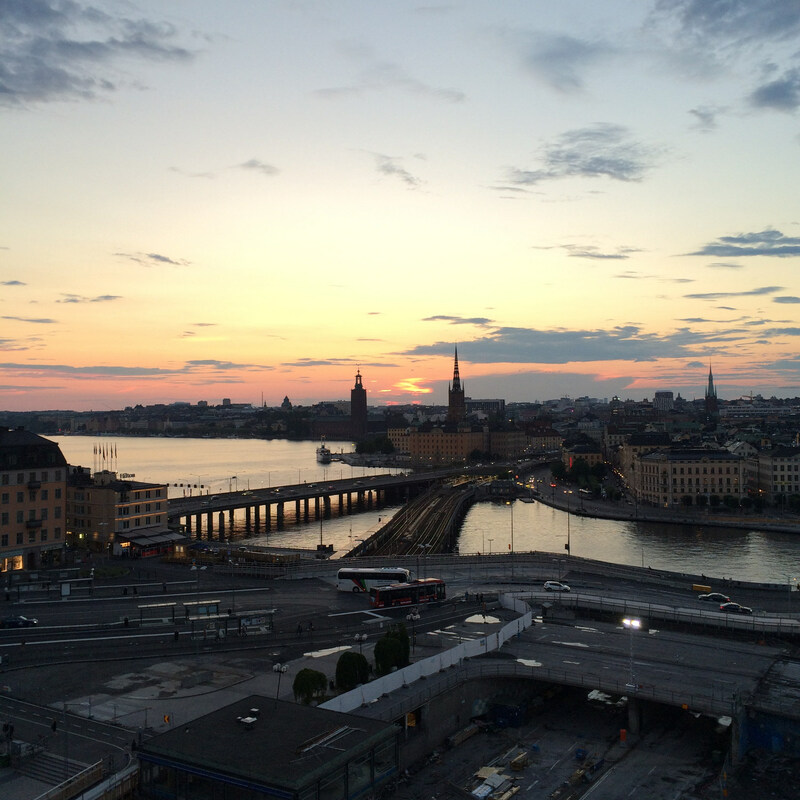 I’ve linked Yelp pages where relevant below, so here are my Stockholm recos. Arlanda Express: one of the easiest airport to city trains I’ve ever taken. Just find one of the machine kiosks by the baggage claim at Arlanda airport and purchase a ticket. A person will come by on the train to check your paid ticket. It’s a smooth and quick ride to the central station. Walking: I found Stockholm to be one of the most walkable cities. It’s flat, well laid out, and safe. A lot of the historic sights, museums, restaurants, and picturesque streets are in Gamla Stan, the old town. It was a 5 minute walk from my hotel. Uber: always a reliable option if your feet are hurting after walking 30,000 steps a day while traveling. Also great when you are running low on cash since you can’t guarantee all taxis accept credit card. Nordic Light Hotel: I stayed here on the recommendation of a Finnish friend, and it was the perfect hotel! It’s literally right next to the central train station where the Arlanda Express drops off. The decor was modern and sleek and a decent price given how generally expensive the city is. The property is equipped with all the amenities you’d ever need including free wifi, restaurant, bar, gym, spa, and luggage check. 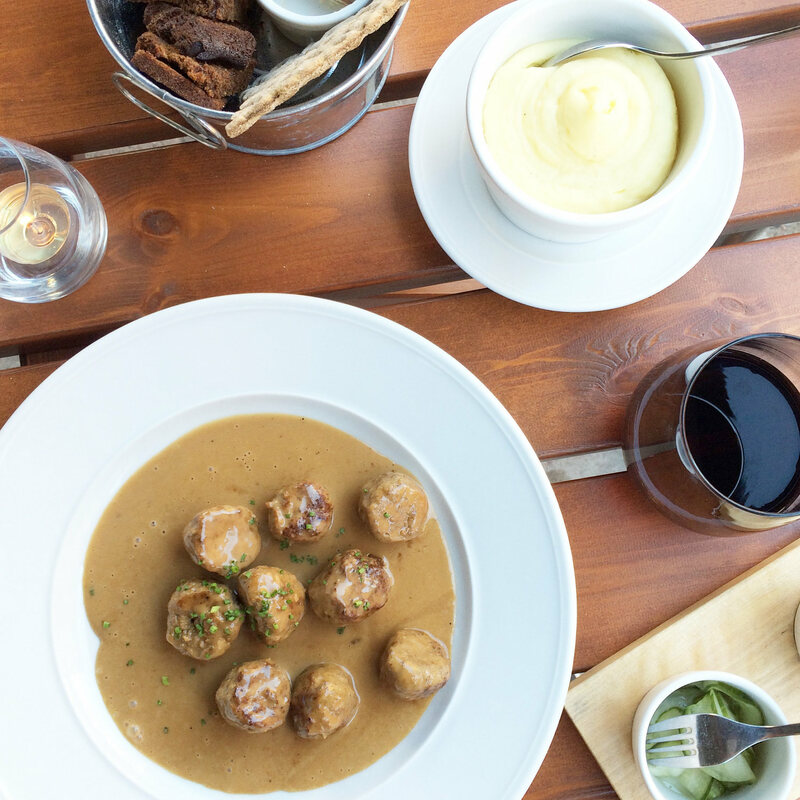 Restaurang Tradition: when in Sweden, you must try the meatballs! Obviously, they were a lot more delicious than IKEA’s version. Swedish meatballs are one of my favorite comfort foods and these were probably the most authentic I’ve ever had, complete with lingonberry and creamy mashed potatoes on the side. This location has since closed but they have a new location in Gamla Stan worth checking out. Nytorget 6: inventive menu, hipster decor, and such a fun vibe. I went out of my comfort zone and tried a reindeer heart appetizer with lingonberry to try something a bit more adventurous. This restaurant is in Söder, which I found is like the Brooklyn of Stockholm. Pom and Flora: a super cute cafe perfect for an afternoon avocado toast and juice while walking around Söder. The Crooked Leg: this is the in-house restaurant at the Nordic Light Hotel. Breakfast was not included in my room price, but was a convenient option which I opted for two days out of pocket. It’s an amazing buffet with American, European, and Scandinavian staples, and it’s almost entirely organic. ilcaffe: a cute local coffee chain some of the best iced coffee I enjoyed in Stockholm. I went to both the Söder and Mäster locations for a quick afternoon pick-me-up. 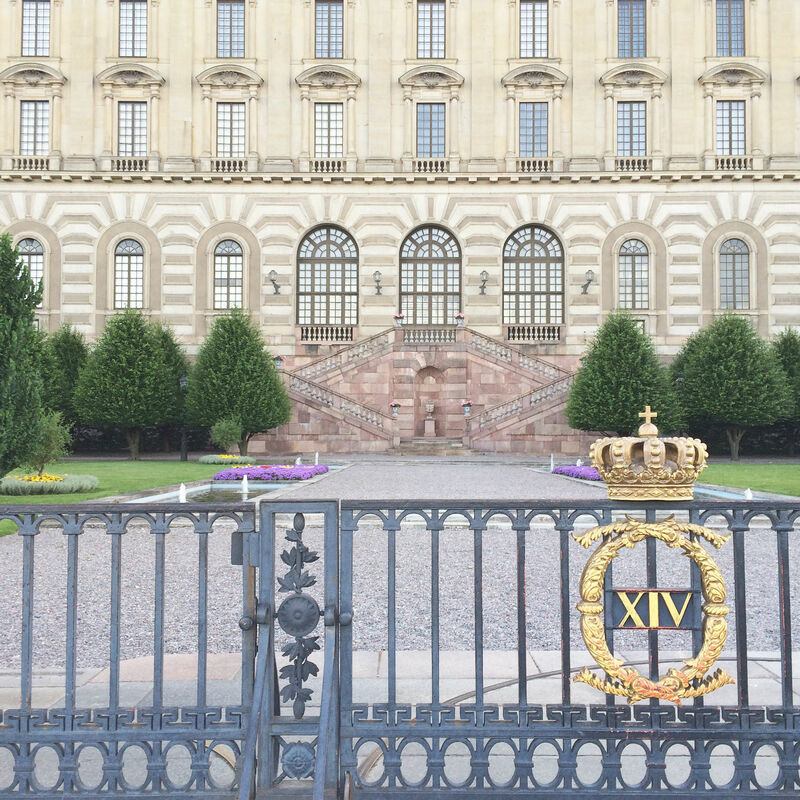 The Royal Palace: an obvious must-see in the heart of Gamla Stan. Try to catch the daily changing of the guards. Arrive at least 45 minutes early and prepare for crowds. Gondolen Sky Deck: the best place to catch the sunset over the city. I went when the bar was actually closed, but luckily the sky deck bridge was still open allowing for the best skyline photos I took on my trip. 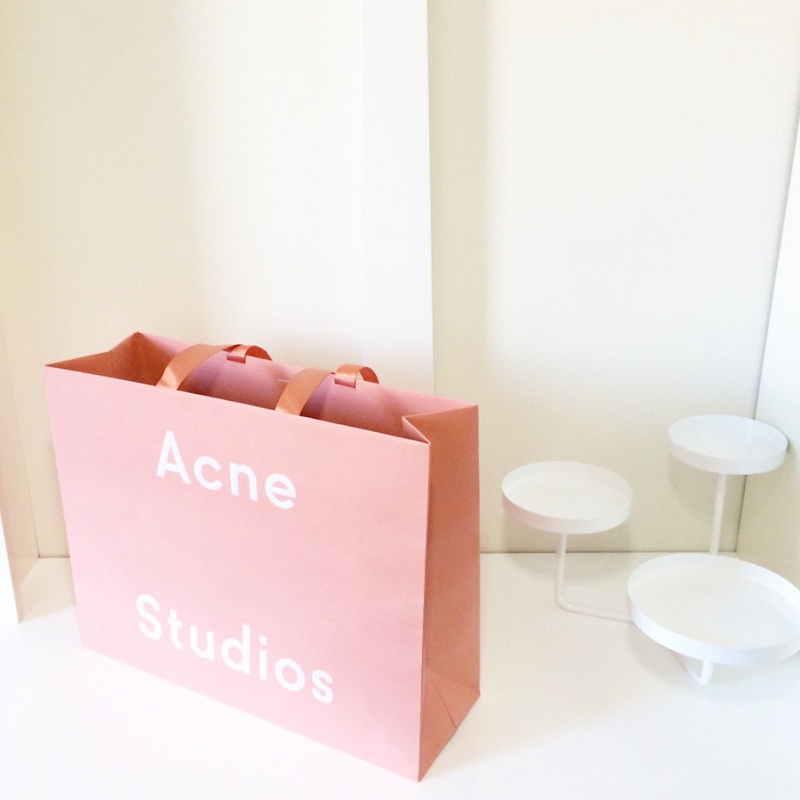 Acne Studios Flagship: an obligatory pilgrimage for any fashion addict. The store is the epitome of Scandic minimalism with a stylish twist. They have a huge sale section, as well. Byredo Flagship: a must visit for any perfume fanatic. The Oliver Peoples ‘Green’ and Gypsy Water are my favorite scents by the brand. Åhléns City: this is a multi level mega department store, so large it has a MUJI store inside of it! Every single floor had amazing stuff to see. H&M: with so many different locations in Stockholm, I’m not sure if this is THE flagship, but it is a pretty impressive store. The H&M Home and Beauty departments are pretty hard to come by in the states, so it was definitely fun to browse through those areas at length. Mood: one of the most beautiful shopping centers I’ve ever been to. The decor is stunning and it was a delight to walk through. River Island: not a Swedish brand, but I haven’t come across a brick-and-mortar River Island ever before. I love shopping them via ASOS, so it’s a worth a drop-in for any fast fashion fan. While it was a short trip, hopefully this will give you some inspiration on things to do in Stockholm. It was a fantastic place and I will definitely come back someday. I missed getting an authentic Swedish massage and going to the ABBA museum, so there’s plenty left to do on my list. Like this post? Be sure to read through some of my other travel posts before you go. Stay tuned for my Helsinki, Berlin, and Amsterdam guides coming soon! A lot more travel content is to come in 2017 as I narrow in on my 30 by Thirty travel challenge. I am totally visiting Stockholm in a few years! I’m going to definitely pin for some tips!! I am a sucker for beautiful architecture. This city seems to have that covered. I would love to visit this wonderful city someday. Dying to go to Stockholm, I’m so bummed I didn’t make it there when I was abroad! Looks like such a great little trip! !